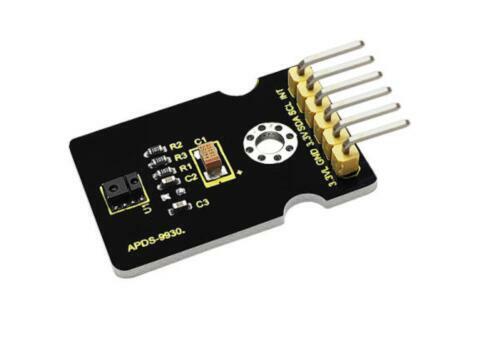 Keyestudio APDS-9930 attitude sensor module mainly uses APDS-9930 chip. 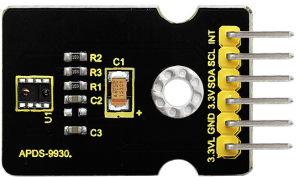 APDS-9930 in a single 8 pin package can provide the ambient light sensor which is compatible with I2C interface and the infrared LED proximity sensor. The ambient light sensor uses double light diode to approximate the visual response of low lumen human under 0.01 lux illumination, and its high sensitivity allows the device to operate in the dark glass. 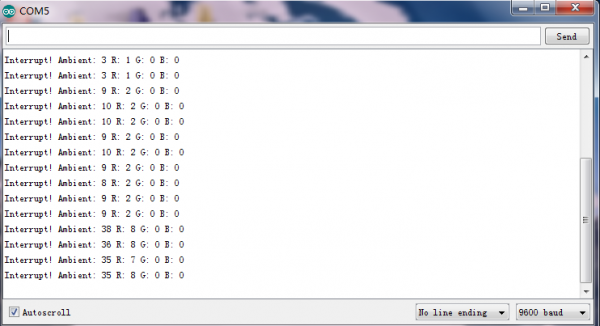 Sleep mode power - 2.2μA (typical value). 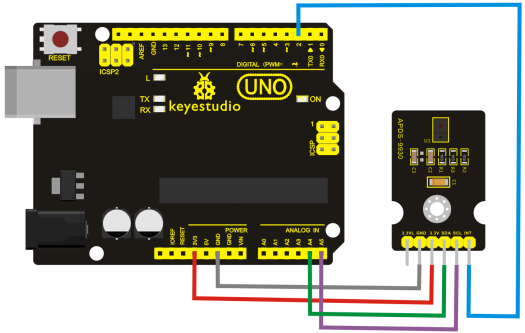 Wiring as the above diagram and burning the code, after powered-on, open the serial monitor, as the graph shown below.